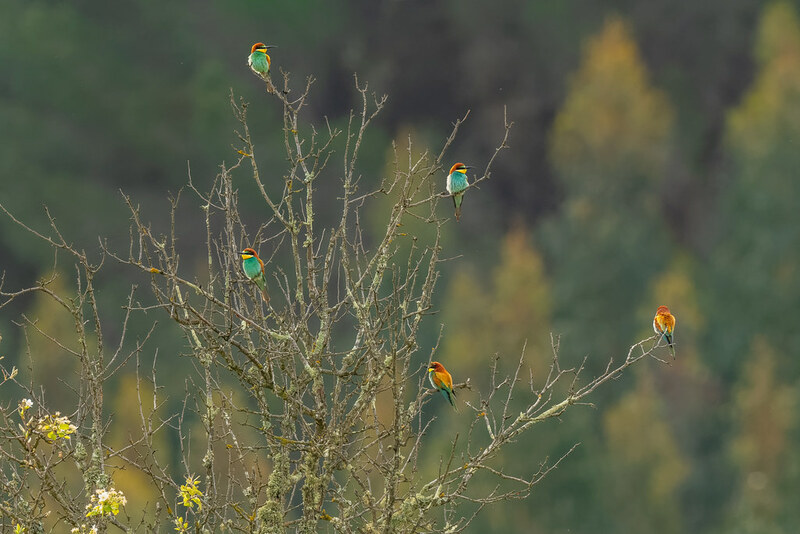 The numbers of European Bee-eaters locally is huge this year and the numbers seem to keep growing. They MUST be growing on trees! This one colony is in excess of 30 birds.